Summary: A selection of episodes from the television series The Joy of Painting Seasons 20-23 (1990-1991) with Bob Ross. 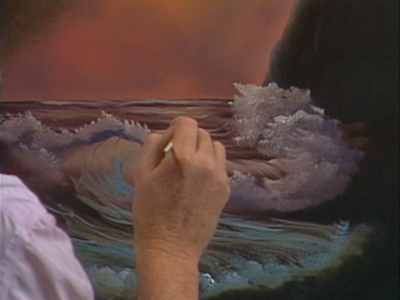 I watched Bob Ross when I was younger and I vaguely remember wondering who would ever follow along. Of course, I had the same thought about all the cooking shows and the other painting shows on PBS. Fast forward to the present and Bob Ross has made his return to Twitch.tv. It's quite a social experience. In any case, my significant other wanted to do another Paint Nite, but I convinced her to just follow along with Bob Ross. 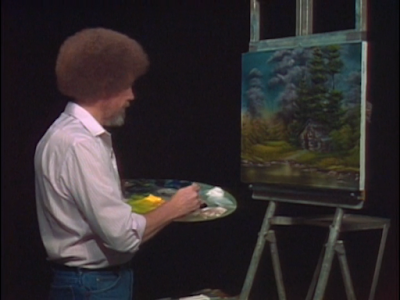 This was when I first watched episodes from this Netflix collection entitled Bob Ross: Beauty is Everywhere. I watched half of episode 18, most of episode 13, and then I decided to follow along and paint episode 8. I first watched it once without painting, and then when I started following along, I had to rewind and watch parts of it multiple times. Today I wanted to paint along with another Bob Ross episode. I started by watching episode 3, but then ended up watching episode 4. Unfortunately, that episode used masking tape which I didn't have. Instead of trying to paint along to episode 4, I decided to look at some more episodes. I watched episode 11 a couple of times and was interested in painting it. Then I watched the first couple minutes of episode 12, but I decided to hold off on paintings that used black gesso. Finally, I watched episode 14 multiple times and decided to paint along to it. I turned on Netflix today and expected this show to have already expired (it was set to expire at 20180531 12:00 AM). To my delight, it was immediately renewed! 1: Oh wow. The white on top of the lavender really brought out the feel of the sea foam. 1: I felt asleep towards the end, when he was working on the cliffside to the right of the painting. 1: Highlight and shadow at the same time. 1: When he talks about the Little Painter Man, either he talks about the opening every so often, or I've seen this episode on Twitch.tv. I do recognize some techniques being implemented, but he repeats many of his techniques so that's less clear. 1: I watched this episode in full. It uses masking tape. 1: Watched this multiple times and followed the episode. 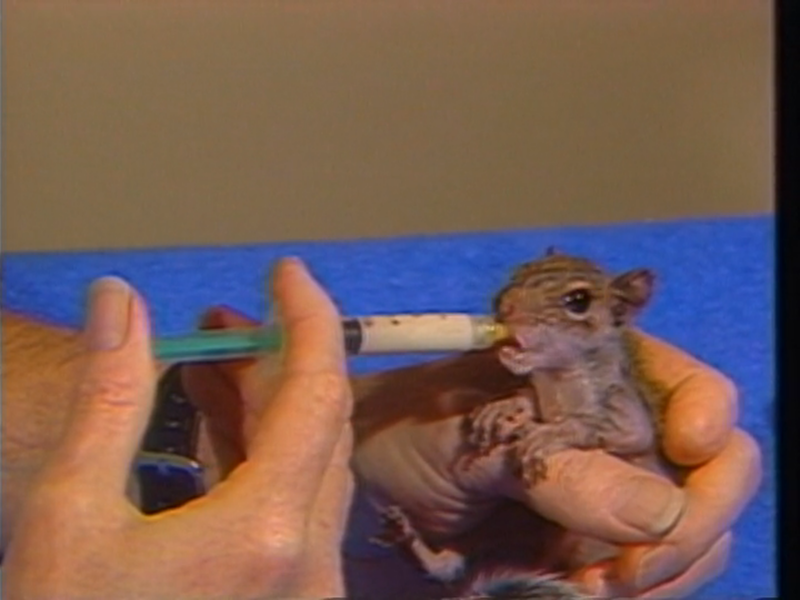 1: I watched this episode a couple times and was interested in doing it. 1: I watched the first couple minutes but decided not to work with black gesso. 1: I watched this episode multiple times and followed along.